In Robert A. Caro’s The Passage of Power, the multivolume biography of Lyndon Johnson, Caro describes an encounter between an army general and Robert Kennedy. At the time Kennedy was the Attorney General and the brother of the President, John F. Kennedy. The general was explaining to Robert Kennedy why a particular request would be difficult to meet. Kennedy’s response was “Why would it be difficult, General?” A witness to the exchange stated that the general “learned that there are few experiences in the world quite like having Robert Kennedy push his unsmiling face towards yours and ask, ‘Why?’ ”Unfortunately no one is asking Governor Andrew Cuomo or the New York State Legislature why the State overly relies on property taxes. If anyone did ask, the answer would be stunningly simple: the property tax is perceived as a “local” tax. It follows that “local” tax issues have their solution and political consequences on the local level. However, through unfunded mandates and funding to local governments, or lack thereof, New York State has a huge impact on property taxes. The property tax, although set at the local level, is influenced to a great extent by decisions made in Albany. A modest increase in the state income tax or sales tax rate could have a dramatic impact on reducing property taxes. This is not happening for a very good political reason—what wants to propose an increase in the state income tax? Today’s anti-tax climate has impacted the political decision-making process to a considerable extent, making any tax increase problematic. In addition, the connection between property taxes, the state income tax and the sales tax does not fit on a bumper sticker. People run for political office for a variety of reasons, probably the most common being a desire to serve. However, you can’t serve if you don’t win, and you don’t win by supporting tax increases. For good or bad that is a political reality. The New York State legislature and the governor have the power to decide how tax revenue is raised. New York State imposes an income tax, a sales tax and various other fees on its citizens and uses the revenue to fund state expenditures, including funding to local governments. New York State has options available to it that local municipalities do not have. Unlike the Federal Government, New York State cannot print money; but it has the next best option with unfunded mandates. Being at the bottom of the financial food chain, local governments and school districts raise revenue by simply increasing the taxes on real property in order to meet expenses The idea that local governments and school districts determine the property tax rate is misleading. Municipalities and school districts pay the bills that have to be paid. If the state reduces funding or creates an unfunded mandate, property tax rates increase. Thus, to a large degree, it is the state that establishes the property tax rate. The amount of property taxes per capita in New York State in 2012 was $2,435 and the amount of New York State income taxes during the same period were $2,431, almost identical amounts. However, there is a major difference and the difference is this. Real property taxes are levied without regard to income while the state income tax is progressive. In addition, expenditures for shelter are necessities. Even a modest increase in either the income or sales tax would bring about a dramatic relief to property owners and would be more efficient. Why does New York State refuse to shift more of the tax burden to the efficient and progressive state income tax as opposed to continuing to overly rely on the regressive and less efficient property tax? Because, we believe, state politicians are fearful of being associated with any increase in the state income tax and fully understand the political liability of high property taxes residing at the local level. There are few taxes more regressive than the real property tax. It is a tax that must be paid regardless of the taxpayer’s income. 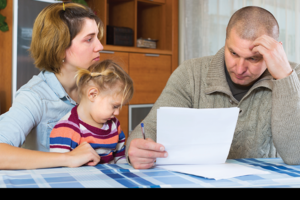 Also there is very little homeowners or business owners can do to reduce the tax short of taking time off from work to grieve their assessment with their town assessor. The homeowner, in particular, has almost no flexibility. The only alternative to paying the tax is selling the home, which requires a considerable time and expense. Property owners may even experience a dramatic increase in their assessment which will lead to a dramatic increase in their property taxes, sim- ply because their neighbors were fortunate in selling their home for a very high price. Even if the value of an individual’s home declines this is no guarantee that the property taxes will decline. Municipalities require a certain amount of tax revenue to provide required services. Therefore even if the assessed values of property in a municipality decline an increase in the tax rate is very likely so the tax revenue does not decline. Thus, for homeowners on a fixed income and business owners incurring a loss, increasing property taxes creates a financial challenge. Imagine if someone proposed levying a minimum income tax regardless of whether the taxpayer had income. The proposal would be dismissed for not being feasibile. Yet that is how the property tax works. Real property has value in that it provides, in the case of a homeowner, needed shelter for a homeowner, needed shelter for the homeowner and his family. In the case of a business owner, real property provides the physical place from which the businessperson can generate income. As property taxes increase, the value of the home or business property decreases because it is making the cost of living in a particular location or operating a business in a particular location less profitable. A business owner is more likely to establish a business in an area that has low property taxes. That is why when a state or locality wishes to encourage businesses they often provide them with reduced property taxes as an incentive. Conversely high property taxes reduce the profitability of the business and reduce the value of a home. As the property taxes associated with a house increases the amount of money a potential buyer would pay for the house decreases. For example, if a person is choosing between two homes that are exactly the same, the one he or she would choose to purchase is the one that has lower property taxes. 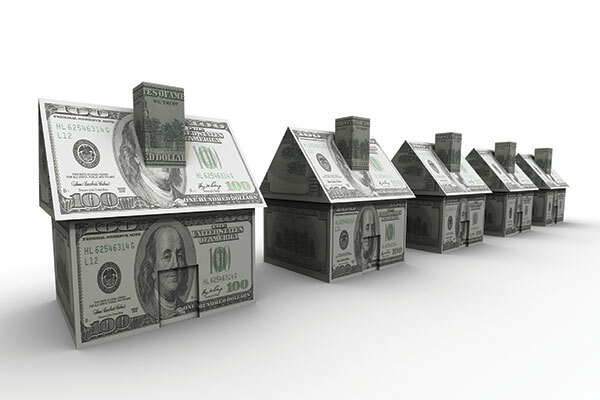 Therefore as property taxes become excessive it causes a decline in the property’s value. As the value of the home or business declines as a result of high property taxes, the likelihood that the value of the home or business will be exceeded by the amount owed on the home or business increases. In these cases homeowners or businesses are underwater and often walk away from their property. As property taxes increase there is a very strong incentive for companies with numerous locations to contest their assessments. It is not unusual for a company with several locations in the state to hire a law firm that specializes in that type of work and challenge the assessments of all the locations. This forces the municipality to hire an attorney to respond to the challenge, which is both expensive and time consum- ing. The large corporation that is challenging its assessments often sees the challenge as another cost of doing business. This financial burden of fighting the challenge is coupled with the additional burden of set- ting aside enough money to pay refunds if necessary. For political and economic reasons the home has been granted a special status in terms of taxability. If one borrows to purchase a home, or to improve a home, the interest is deductible, as are the real property taxes, which the homeowner pays. To some degree the logic behind this special treatment is that society benefits from people owning their own home and providing shelter for themselves and their family. In addition, there is a belief that with homeownership will come a desire to maintain and improve the property, which is a benefit to society. In addition, homeowners can obtain a home equity loan, which allows them to, not only improve their homes, but also send their children to college or pay for high medical expenses or unanticipated expenditures of any type. Elderly couples often obtain reverse mortgages, which allows them to continue to live in their home, by extracting from the home the equity they have built into it over the years, and not become a financial burden to their children. This financial life- line may be imperiled by high property taxes. One definition of insidious is as follows: “operating or proceeding in an inconspicuous or seemingly harmless way but actually with grave effect.” Ask homeowners how much they pay each year in property taxes and they will often respond that the bank pays the property taxes. Clearly this is not exactly the case. The bank does make the physical payment but it’s the individual who pays the bank. Individuals who are careful about obtaining a fixed rate mortgage to avoid the disaster that can sometimes occur with an adjustable rate mortgage are often indifferent to the continual increase in real property taxes. Even though a combination of a homeowner’s principal and interest payments remain the same, their mortgage payment continues to escalate because of rising real property taxes. This escalation in many instances is modest and periodically homeowners receive a notice from their lending institution that their payment will be increasing as a result of real property taxes. As this payment continues to escalate the homeowners can only hope that their income sources continue to escalate along with the real property tax. If the individual is on a fixed income – and it should be noted that it is not only retired people who are on a fixed income – then this burden becomes even heavier and in some cases forces the property owner to sell his property. It should also be pointed out that property owners might be unaware of how much they are paying in real property taxes. However, they can rest assured any potential purchaser of the property and the realtor representing the potential purchaser will be very aware of the amount of the real property tax, and it will be a factor in determining whether or not to purchase the property and what price to offer. Dr. Robert Christopherson is Interim Associate Dean and Chair of the Economics and Finance Department at State University of New York in Plattsburgh. He has a PhD in Economics with a concentration in Public Finance. 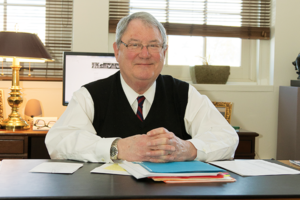 James J. Coffey is a practicing attorney in Plattsburgh, New York and Professor at the School of Business and Economics at the State University of New York in Plattsburgh. He has represented municipalities since the late 1970s and cur- rently represents three municipalities in Clinton County, New York. James J. Coffey and Dr. Christopherson have jointly published articles relating to issues concerning the taxation of real property. The views expressed in this article are those of the authors and not those of any party they represent. This is the first part of a three-part article. Part two will be published in the next issue of Strictly Business.